When I think back to the first year or two after I got a driver’s license, I wonder how I survived. Like any typical teen, I thought I was in complete control, even as my brain was swarming with distractions. If CarVi had been around in those days, I would have been riding the bus. CarVi is a video-based system that monitors and analyzes a driver’s performance. The CarVi camera and transmitter mounts on a vehicle’s windshield, so it can be used in any vehicle, regardless of it’s age. Working with the driver’s mobile phone, CarVi knows if the driver changes lanes or passes another vehicle when they shouldn’t. 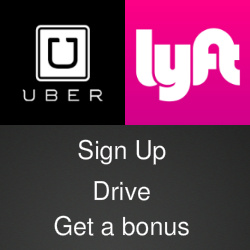 And it collects and stores the data where it can help drivers improve their skills or be reviewed by a third party - a parent, for example, or an insurance company. And, wouldn’t we all be safer if drivers had to achieve a minimum safe-driving score to qualify for insurance or even keep their license? 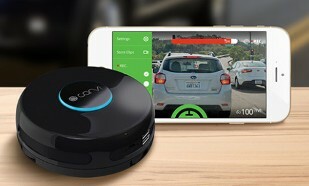 CarVi raised more than $100,000 with a funding campaign on Indiegogo and it recently got $5 million in venture capital funding to get he product into production. More details and and a pre-order form are available on the CarVi website.